In 2011, almost half of mortgaged homes in South Florida were underwater. One year ago, 34% of home borrowers in South Florida were underwater, meaning homeowners owed more on their homes than they were worth, reports the South Florida Business Journal based on Zillow data. 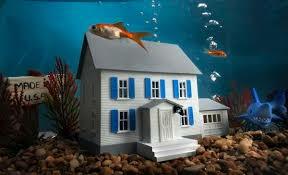 Now, only 22% of homes are underwater. By next year, that percentage is expected to drop to only 19% as home prices continue to rebound. That’s a huge improvement from a few years ago, when almost half of all local borrowers were underwater. The Takeaway: Rising home values have a huge impact on homeowners’ well-being. Many now feel free to sell and relocate in search of better jobs elsewhere or a lower cost of living. We’ve had several “empty nest” clients downsize into smaller or easier-to-maintain homes. We’ve also worked with retiree clients who have chosen to sell, transition into rental housing, and reposition the equity in their homes into income-producing investments. Others choosing to stay put can now refinance into lower cost mortgages.